I have fond memories of playing outside for hours during the summer when I was a kid. I played a bit of everything and I especially loved roller skating, hula hooping, riding my bike, and bouncing along on a pogo stick. I always got lots of good exercise, but I didn't really care about that as a kid. I just knew that I was having fun. 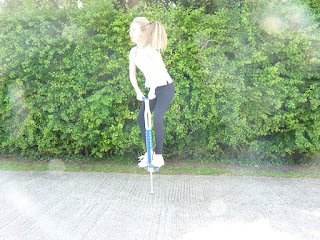 Pogo sticks were especially fun because you could go from here to there on it and it didn't have wheels at all. Did you know that the pogo stick was invented by Hans Pohlig and Ernst Gottschall, from Germany? Their German patent was registered in Hanover on March 1920. They called their invention a 'spring end hopping stilt'. It is believed that the beginning two letters in their last names is where the name pogo comes from. Interesting huh? Now that the warmer days of summer are here, it's a great time to introduce the kids in your life to the fun of a pogo stick. The Super Fun Pogo King Pogo Stick is a good place to start. It's ideal for children nine years old and up and supports up to 160 lbs (72 kg). 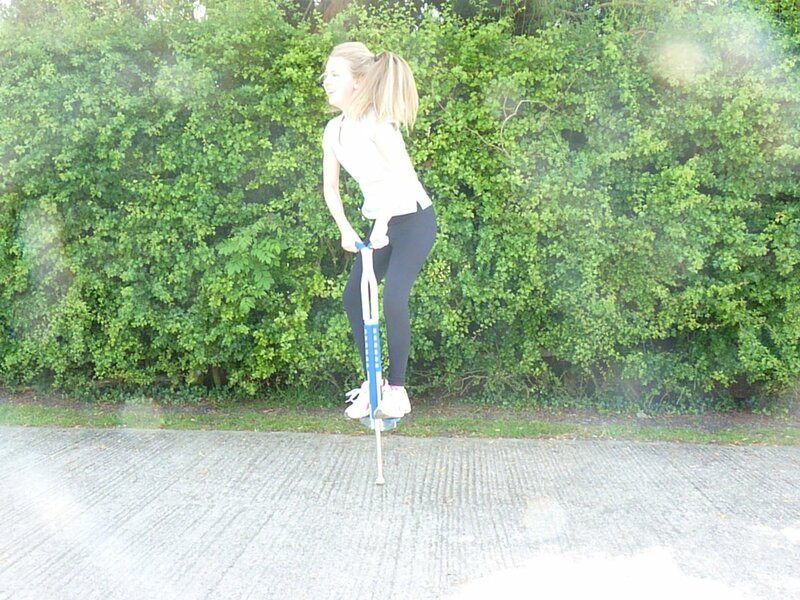 The height of the pogo stick is approximately 41.5 inches (106cm). 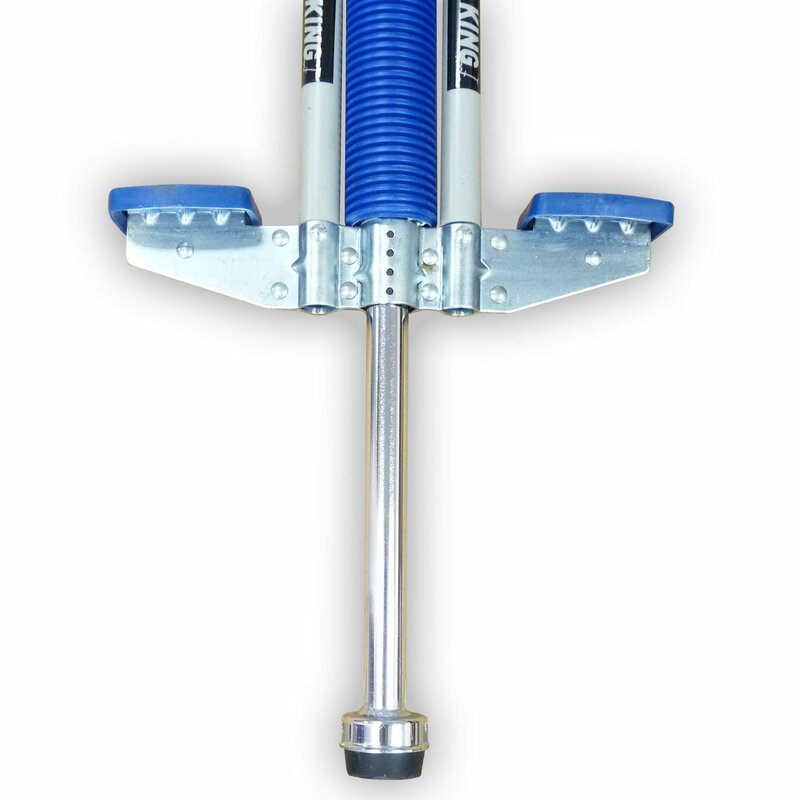 It's built with sturdy foam-covered metal construction and features anti-slip safety handles and foot pads. This pogo stick is something that many members of the family can enjoy! Remember...always wear a helmet and protective equipment for safety. 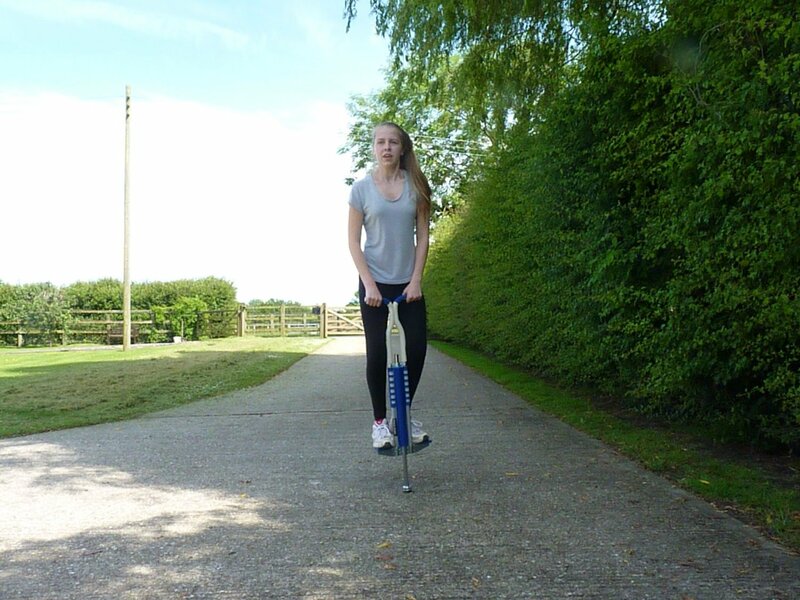 A pogo stick is a great way to improve balance and just to have fun! I absolutely loved mine when I was growing up. I'll admit, it took me a tiny bit of practice to get the hang of it, but once I got it I was hooked. It was one of those things like learning to ride a bike. 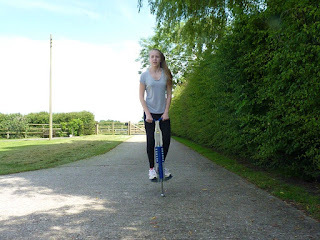 Learning to jump around on the pogo stick taught me a lot about the importance of learning new skills. It gave me a sense of accomplishment and it was good exercise. This is a wonderful way to have fun outside and to just get moving! 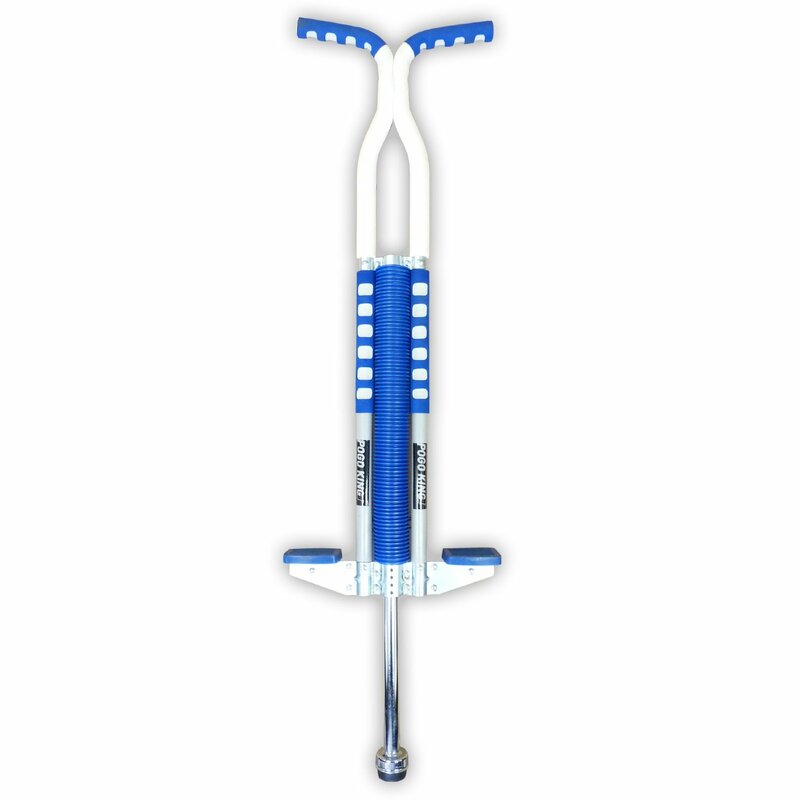 You can purchased your own pogo stick here and it is also available in the EU here.